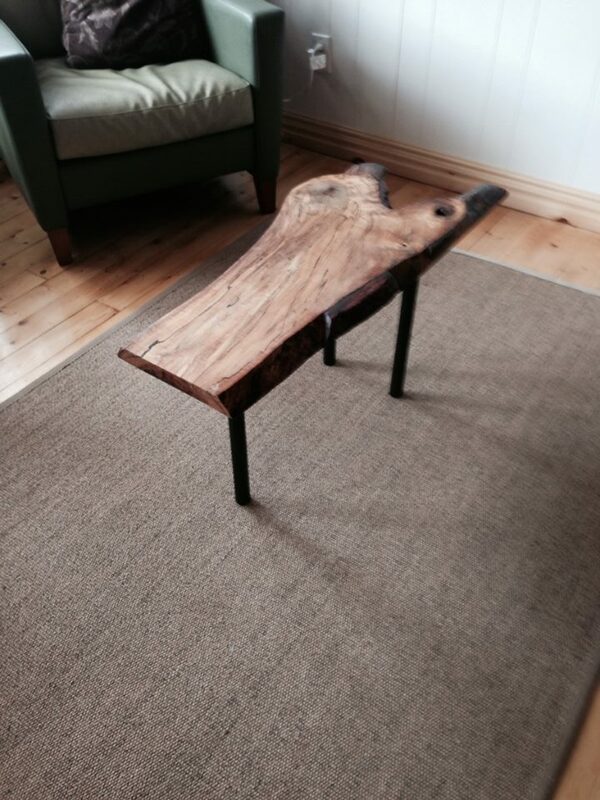 Bringing nature inside is the way to go, especially for a cottage interior. We are delighted to feature our guest creator Jan Ferguson this week on The Motherboards. 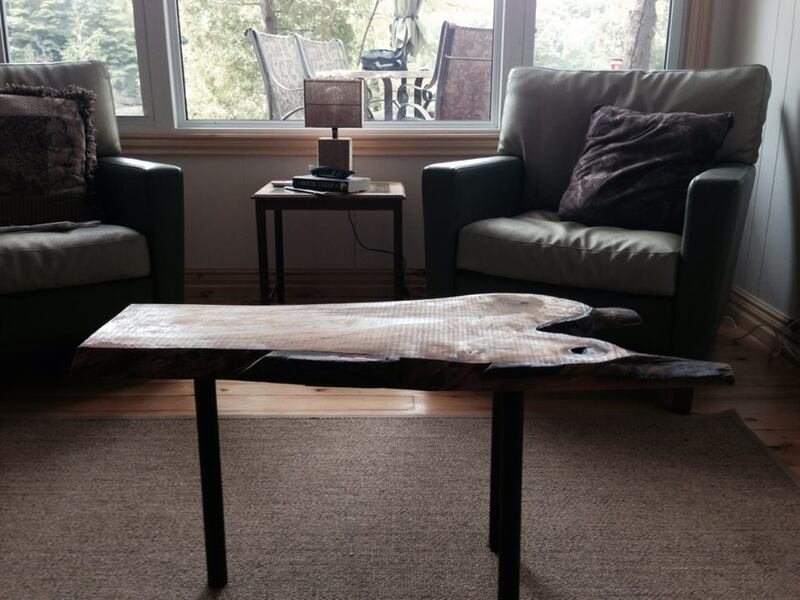 For just a little over $50, Jan created this natural, lovely coffee table for her cottage. 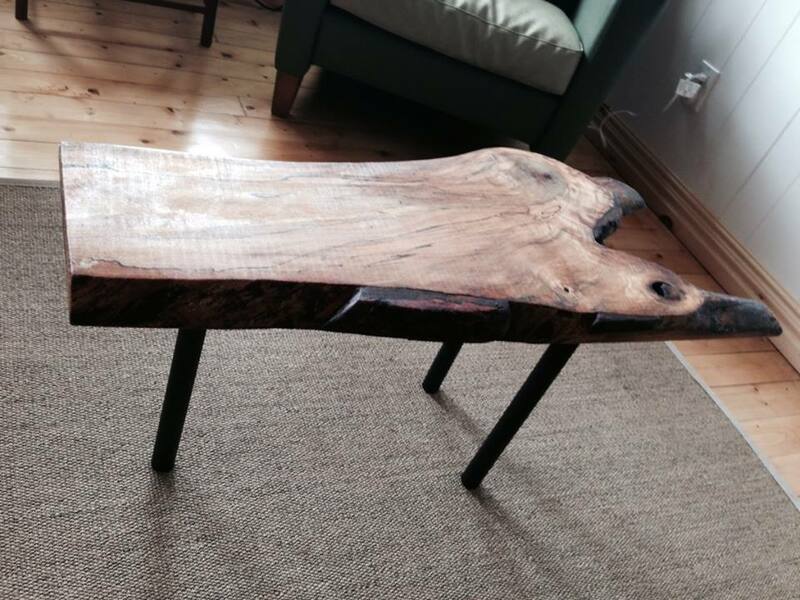 I got a a great piece of salvage wood from the salvage store’s remnants pile for only $12.75!!! Sand the wood with a handsander to make it as smooth as possible. Then sand some more with paper or wedge. I applied 6 coats of oil (I used tongue oil) to get a great finish which will last and protect. For legs, I went to the Home Depot where I found some great, simple black legs for around $9 each. Attached legs. Done!